Calvinists to a degree resemble other branches of Christianity in that they affirm the Trinity, salvation by Christ's atoning grace, creation by God, and much, much more. God is the unchanging Creator. Man is the changing creature. These are two fundamental Biblical facts we dare never forget, and we must work to grasp the proper relation between them. From where does freedom come? Though we can rightly acknowledge the individuals and historic events and milestones which won freedom from tyranny, historical accomplishments and status do not constitute moral legitimacy. When we speak of authority, we refer to the power or right to give commands, and require obedience to those commands. 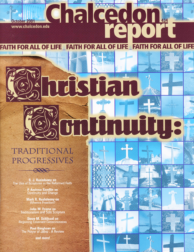 That the assumption by the Romanists that they are "the only Christians" is "gratuitous" and "monstrous," and it is "a historical fact that all the peculiar doctrines of Romanism were not received in the early Church as matters of faith" (p. 123, Vol. 1). One of the largest problems today in evangelical and Reformed theology is the tendency toward traditionalism. I hope in this article to take some steps toward analyzing this danger and commending its antidote, the Reformation doctrine of sola Scriptura. Several months ago, a mother brought her 12-year-old son, Daniel, to me to be tutored. I had taught the child to read at the age of four with Alpha-Phonics, after which he could read the New York Times with ease. After a survey of our dreadfully decadent culture, and a peek at further decay ahead, we ask what the Christian response ought to be.